I've been trying to build my card stash and thought it was a good time to also go through some old papers. 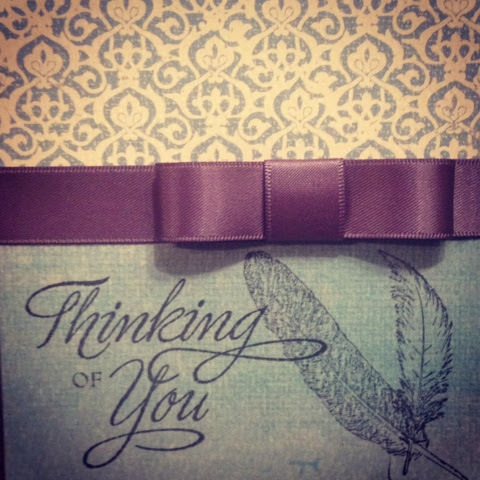 I dug up a few and decided I was going to make three sympathy cards. These papers were left over from a scrapbook layout I did several years ago. The sentiment is from CTMH - Card Chatter Sympathy and the feathers are from my newest Stampin Up set Fine Feathers. 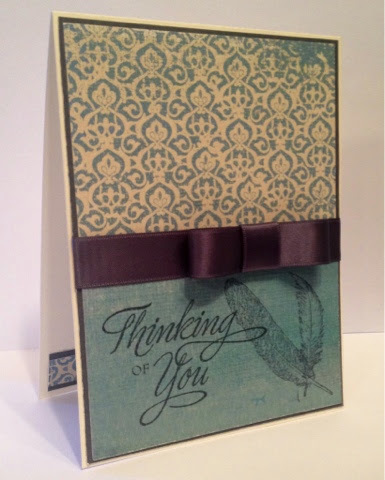 I resisted adding any embellishments, I was very pleased with the simplicity of this card. Freshly Made Sketches #128 just happened to be the perfect sketch :). 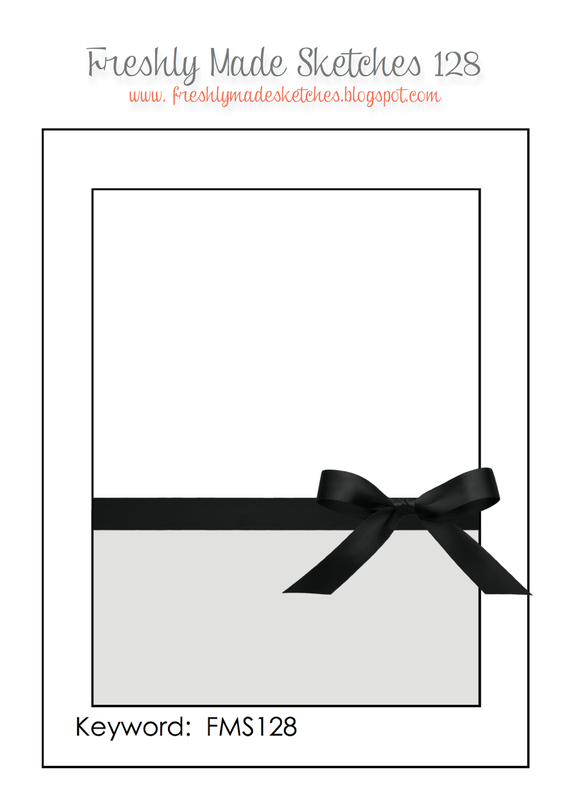 I think my favorite part of the card is the softness of the gray and the pretty little ribbon bow. That is a very beautiful card. I really like those feathers, they may be next on my purchase list. I'm into just stamping now-way less coloring then I use to do. Very pretty! I love the dsp, and that bow is fabulous. Thanks for joining us at Freshly Made Sketches this week! How pretty! That bow adds just the right touch of elegance. Wonderful. Glad you joined us this week at FMS! 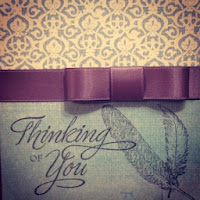 Very elegant card. I love the colour choices.